What are you doing this weekend? For me, my mom is coming up for a visit — and for her I’ll probably whip up a delicious meal and some type of decadent dessert! I’ll also be running around getting the last-minute things for my son as he starts Middle School next week! Yikes, can’t believe that one! It seems I won’t really have much time to unwind from my stressful week with my even busier weekend. But I will absolutely try — and there is no better way than with a refreshing cocktail shared with mom! Anyway you look at it, this classic Lemon Lime Margarita rocks! I love margaritas, not matter what kind — ok, take that back, I’m not really a fan of the frozen kind, for me on the rocks is the best way to enjoy this tasty drink. With this simple recipe, you’ll be impressing your friends and family with a delicious cocktail in no time. And if you prefer not to shake the night away, you can easily multiply this recipe to make a pitcher full and keep ’em chilled in the refrigerator for quick access! In a cocktail shaker filled with ice, add all ingredients and vigorously shake until well chilled. Open lid and pour margarita and ice into a tall glass. Garnish with lemon and lime wedges. Serve immediately. *I always keep a container of lemon simple syrup on hand to easily incorporate into my recipes, find it here. 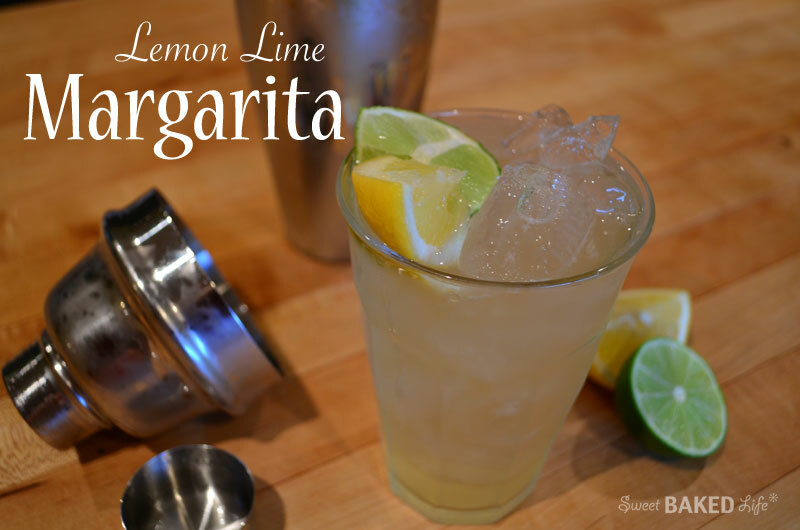 There’s nothing better than a cool and refreshing citrus Margarita to start off your weekend! Cheers Mom! These will be great for my Labor Day bbq!